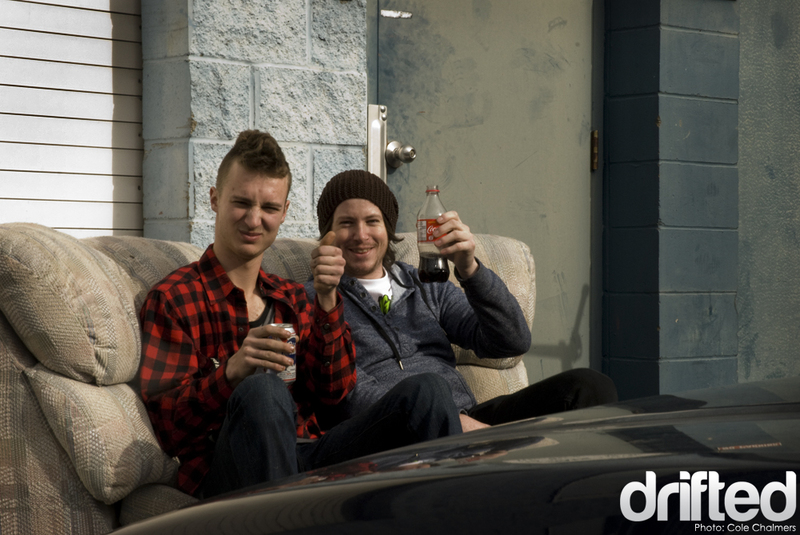 Just barely over one year ago I moved to Kelowna, British Columbia and met Shawn Browne and Logan Noel, the two champs that are the main drive behind Drift Union. 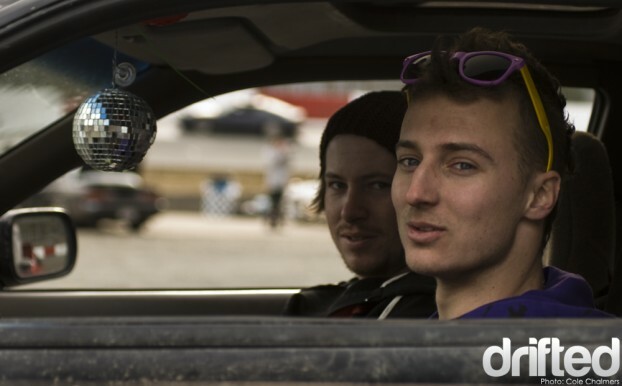 I had no idea how much becoming friends with these guys was going to change my life around, but now, a year later, I have a drift car, a gig here on Drifted, a pretty extensive portfolio of drift photos, and a metric ton of rad memories… all thanks to two bro’s with purple drift cars. Drift Union’s 2010 adventures are available to you now, in the form of a video! Footage from the video was filmed at All Star Bash 10 in California, Pacific Grand Prix Motorplex and Evergreen Speedway in Washington, Penticton Speedway, Kelowna, and Vancouver British Columbia. The Majority of it was captured on GoPro Cameras and a Canon T2i and filming was done by a handful of people, including myself, and was edited by Shawn Browne himself. We had premiers for the video in Kelowna and Vancouver that were both unreal nights. 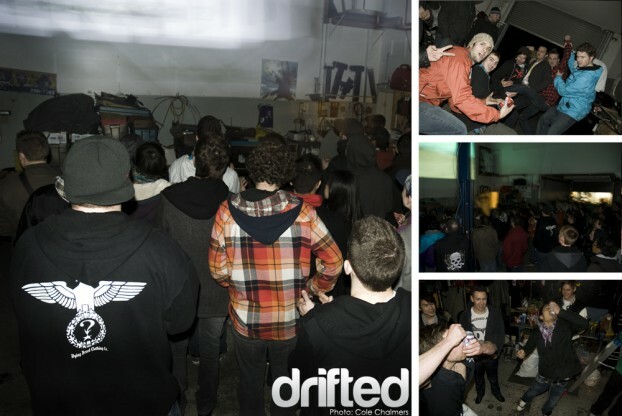 Mad props to Calle at Four Function Autosport in Kelowna and Pete at Neptune D in Vancouver for letting us take over and get loose. Before I go any further, THERE IS A CONTEST TO GO ALONG WITH THE ONLINE PREMIER! There were give-aways at the other premiers, so it wouldn’t be fair if nobody else got a chance right? If the video can get 200 “likes” by 5pm March 19th on Vimeo, Shawn will draw from those people and give away TWO t-shirts and a few stickers. “This year has brought long nights, new places, and unfamiliar faces. Streets of willow, horse thief mile, evergreen and PGP, were all TONS of fun. With the long road trips to new places, we have meet a lot of new people who share a common passion with us, and have made our trips memorable. This video is for all the guys putting in the hours, smashing knuckles, lending a hand when a fellow drifter busts, and making each drift day happen. Without the small grassroots drifters the sport as we know it wouldn’t be around. Now, go grab some popcorn and a beverage, press play and enjoy the video! To see more photos from the Premier parties click HERE.